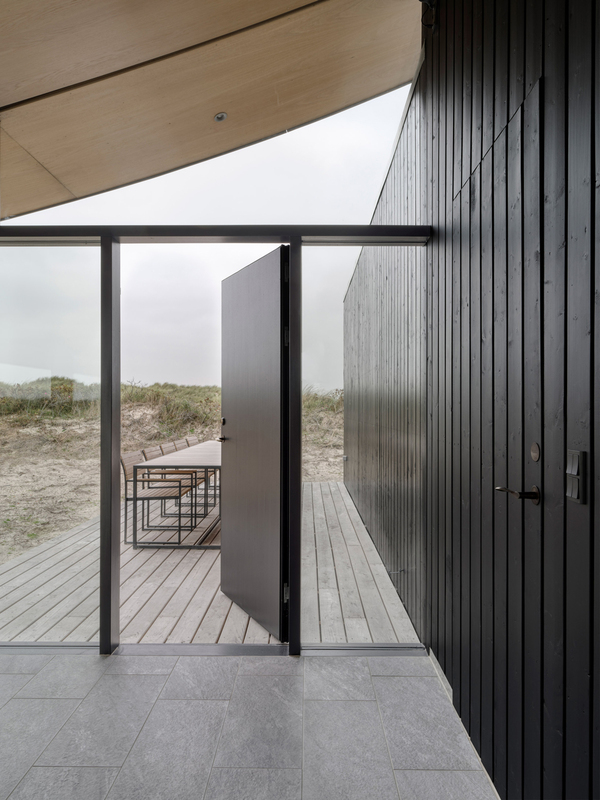 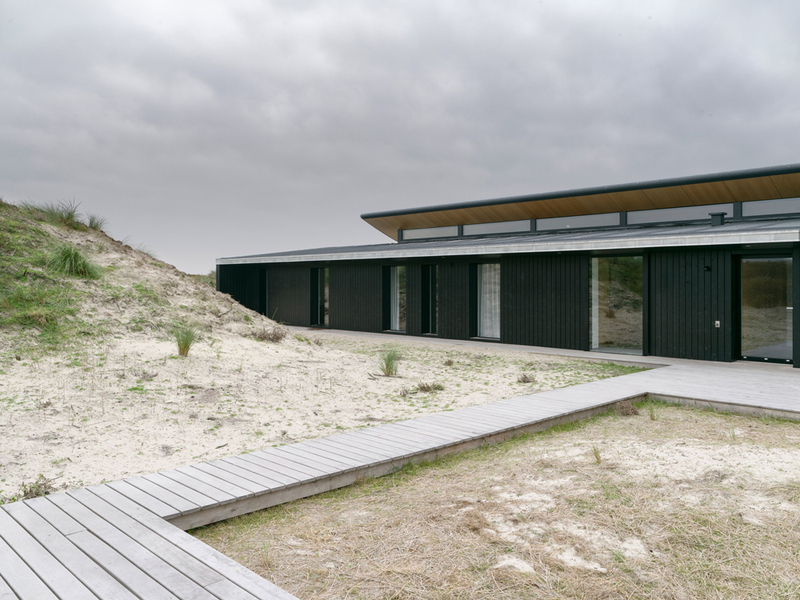 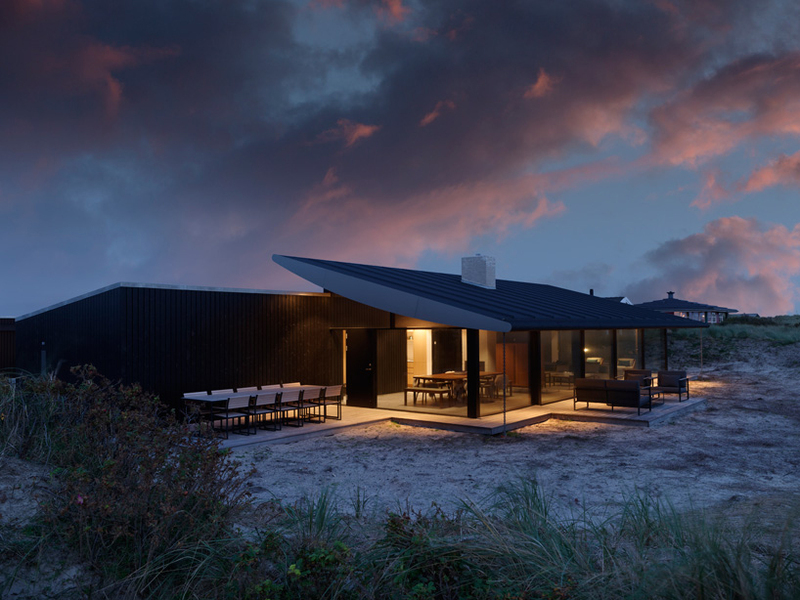 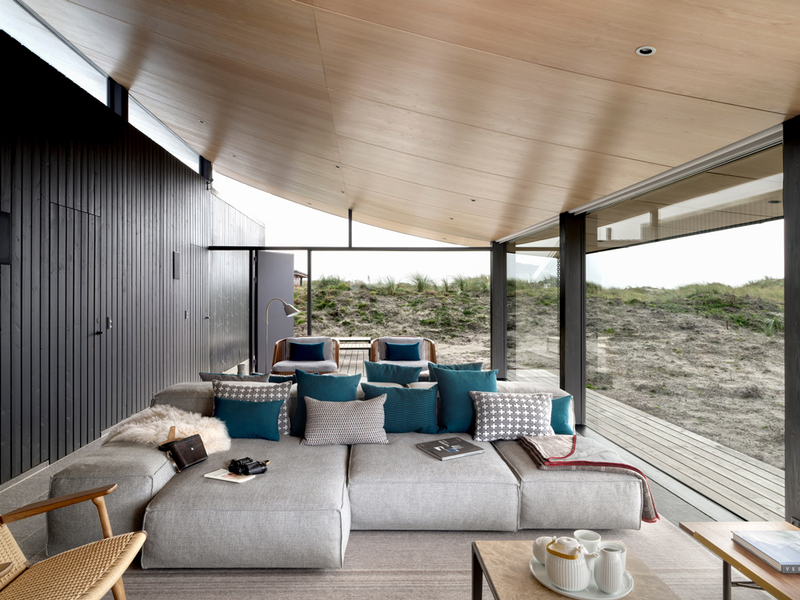 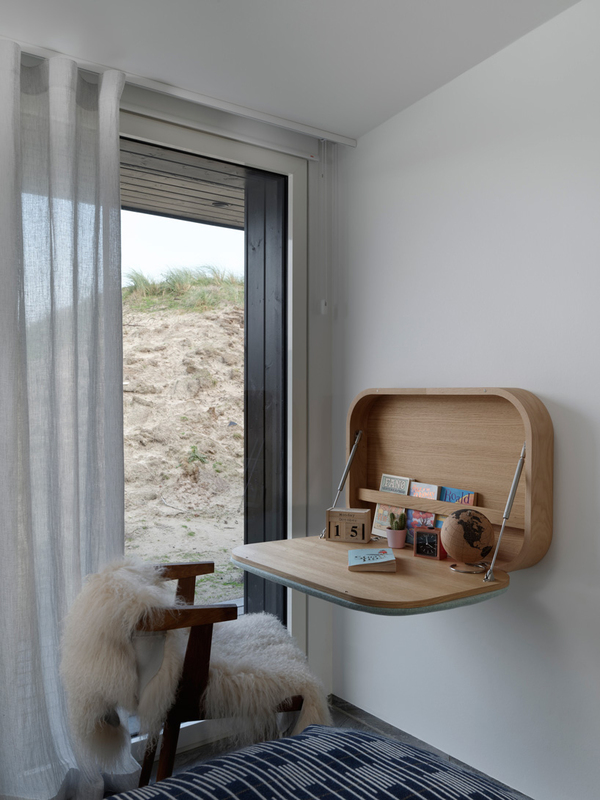 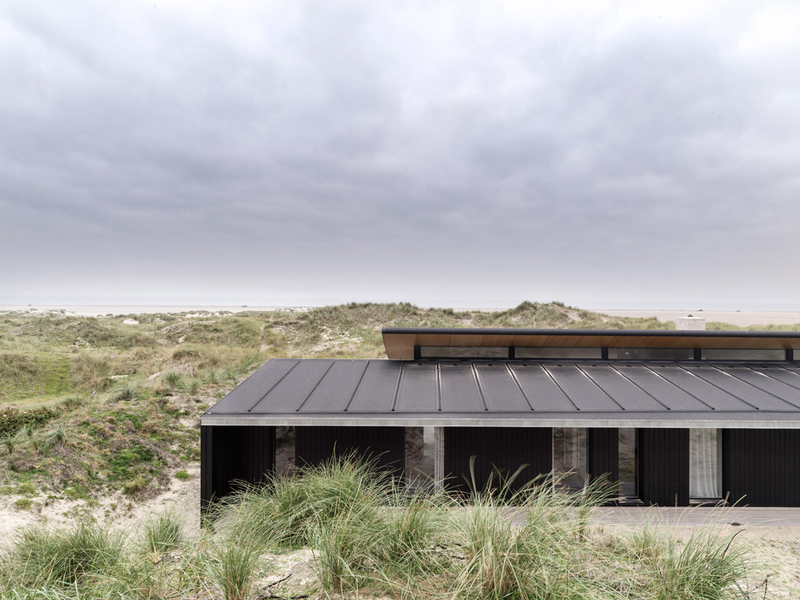 Danish architect and industrial designer Knud Holscher‘s recently-completed the Fanø residence, named after the island off the coast of southwestern Denmark where it is located. 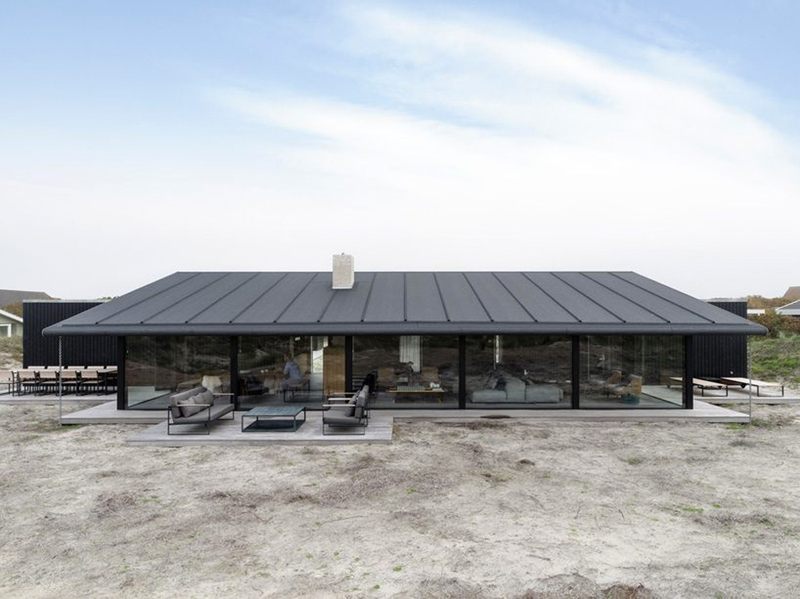 Born in 1930 and a former protégé of Arne Jacobsen, this is most likely Holscher’s last architectural project – And it is a real gem! 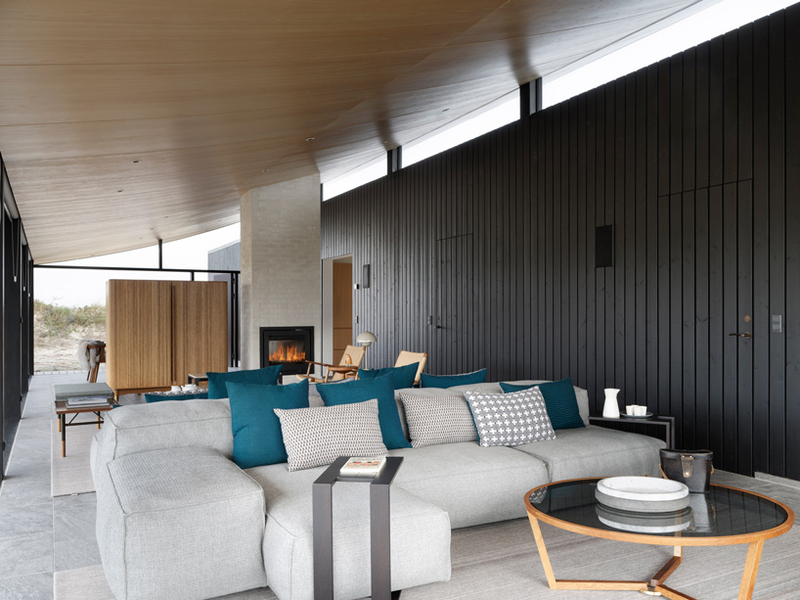 The home is a beautiful homage to Danish aesthetic and craftsmanship, with timeless elegance. 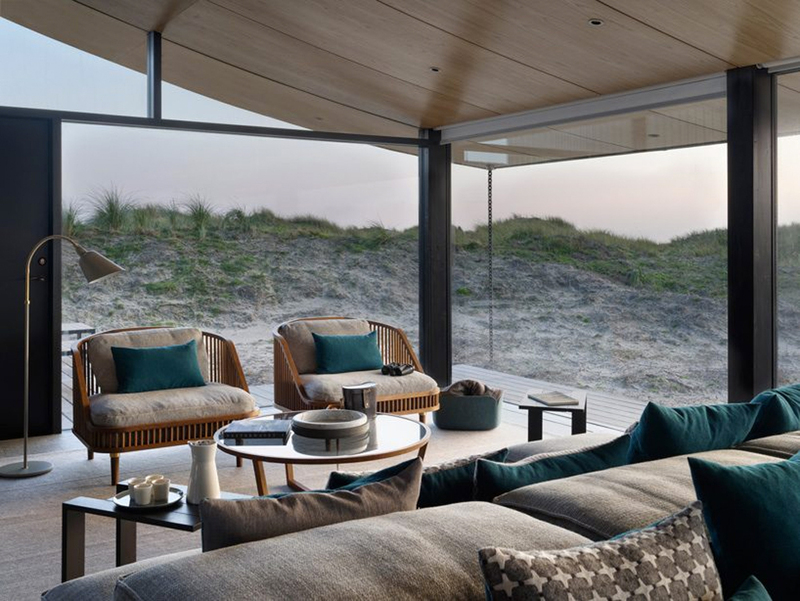 You’ll find natural materials and textures, a restrained color palette, and floor-to-ceiling windows offering amazing views of the surrounding landscape and blurring the boundaries between outside and inside. 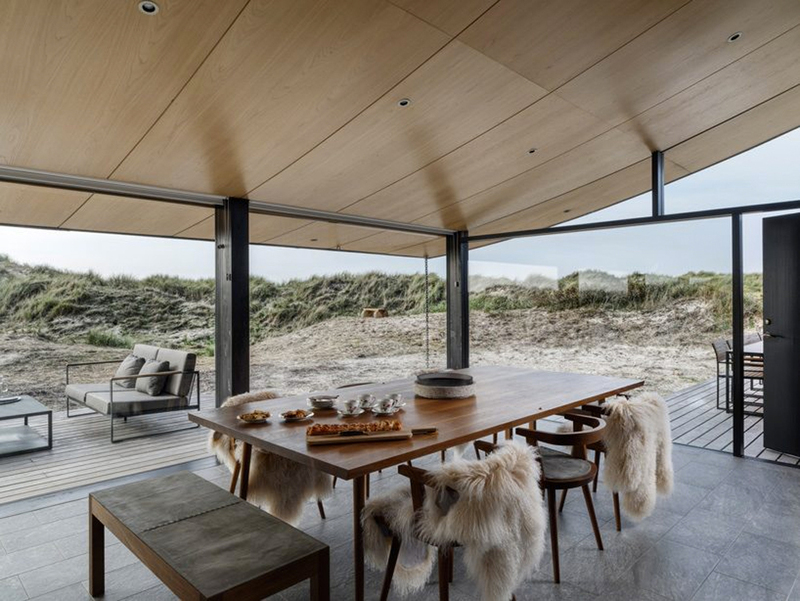 The serene and understated interior is by Staffan Tollgård Studio. 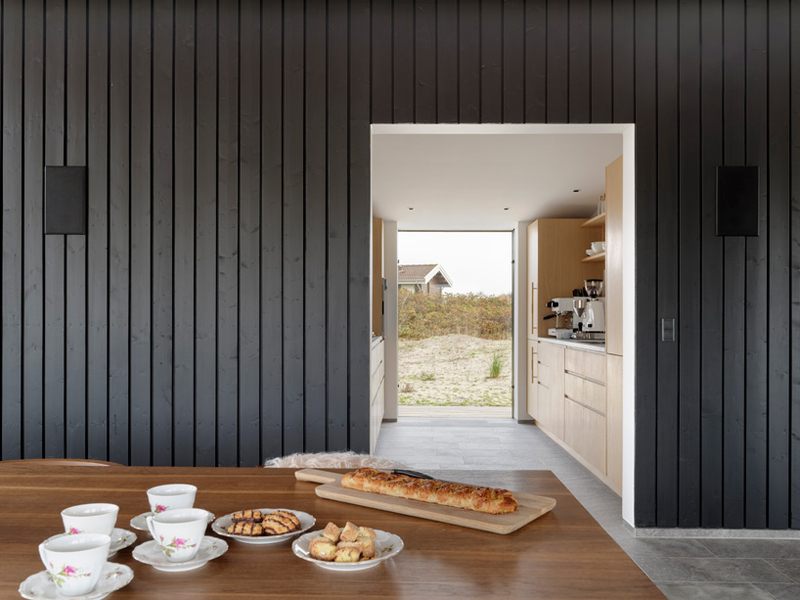 The kitchen, wardrobes and cabinets are by Copenhagen-based KBH. 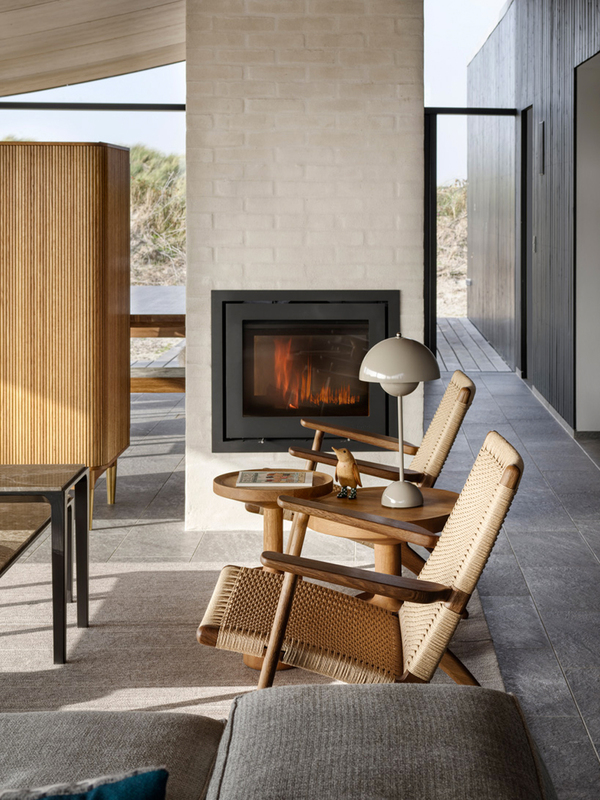 Home furnishings include Panton’s VP3 table lamp, Wegner’s CH25 lounge chairs, and other iconic Danish designs. 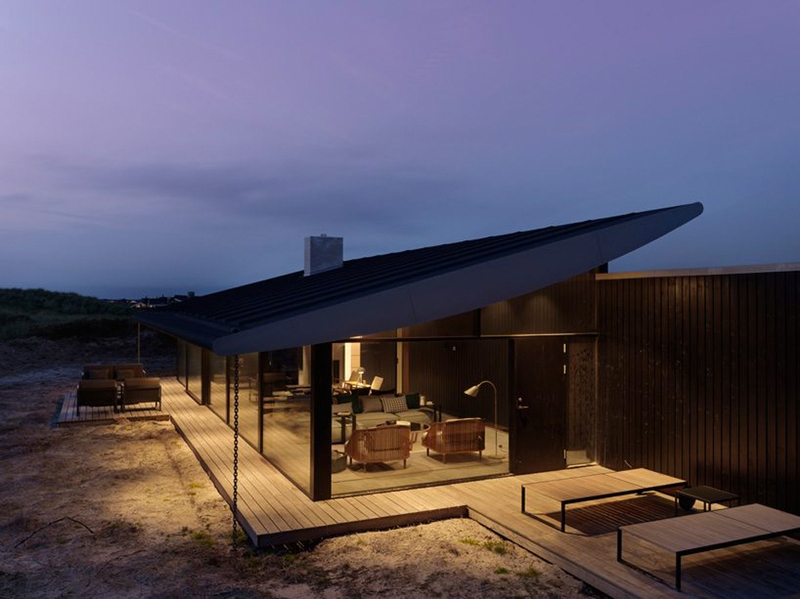 If you’re ready to move into this Holscher masterpiece, be sure to check out this concrete summerhouse in Sweden.